this was my second attempt at Mt. 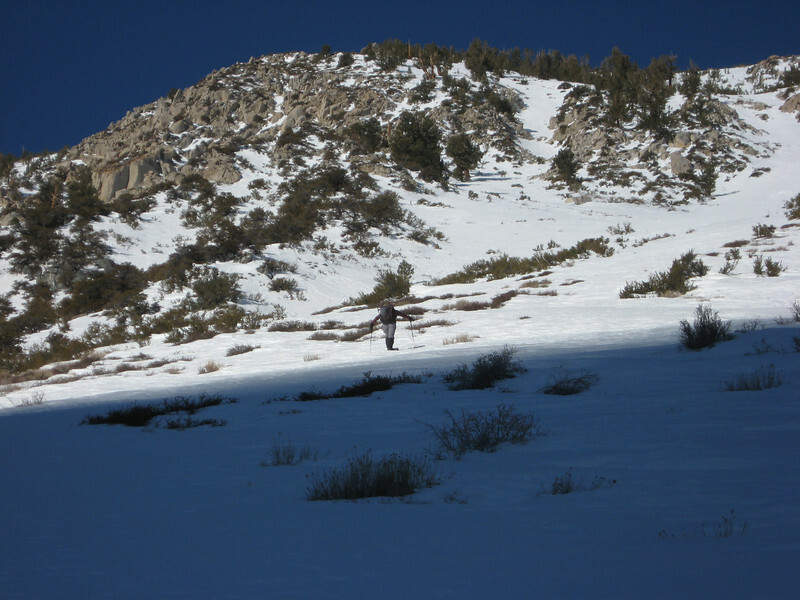 Alice - in the snow it represents a 4,000+ft gain in about 2.5 miles. Moose Tracks, Giga Mike, Rachel and I met to attempt this hike. We ran into Snow Nymph and Bullet at the trail head who were skiing Mt. Kidd. We made it to 10,450 which is about 1100 vertical feet shy of the summit. It was a late start glisading back so some of the conditions were icy.